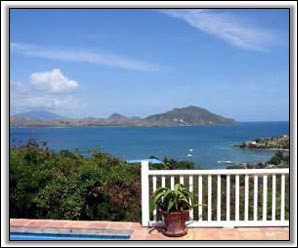 Located in the most desirable area of Nevis, on the hill approximately 200 feet above sea level, you can sit back and relax around the 30-foot lap pool while enjoying some of the most spectacular views on the island from the deck of Round Hill. 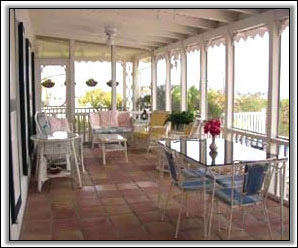 The villa is 2-bedroom home tastefully furnished with antique wicker and pine furniture. Each of the two bedrooms is privately located at either end of the villa with their own private ensuite baths. One bedroom has a one king-size bed, and the other bedroom has two twin beds that can be converted into a king-size bed. 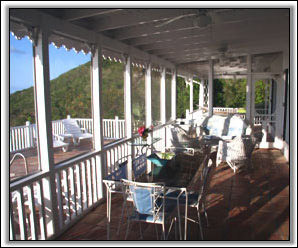 The villa has a wrap around porch with saltillo tiles, and includes a large fully screened living and dining area on the porch overlooking the pool, 6 appliances, gas BBQ, cable TV, CD & DVD player, washer & dryer, plus pool and maid service twice weekly. 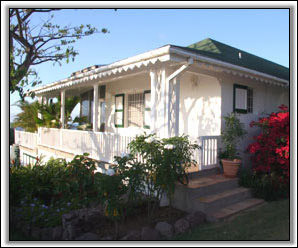 New to Round Villa Villas is high speed Internet access. 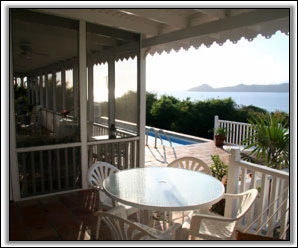 There is also a small 'teenager' bedroom in the basement with a double bed, 2-piece bath and outside shower, It's only a 5- minute walk from the house to the beach and all the best water sports facilities on the island including windsurfing, scuba diving, sailing, and kayaking. Road and mountain bike rentals are also available at the beach. It's a 5-minute drive to the airport, 8 minutes to the Four Season's 18-hole golf course, and a 10-minute drive to town. 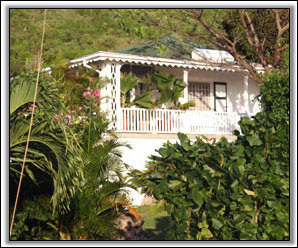 Round Hill is located within a ½ mile radius of 5 beaches on Nevis. 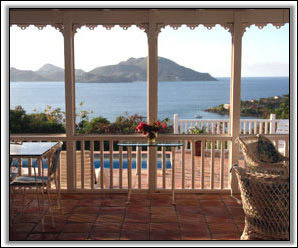 Enjoy watching the sunsets and infamous 'green flash' while dining al fresco in a fully screened porch surrounded by antique wicker and the spectacular views over the narrows to the sister island of St. Kitts. The kitchen is fully equipped with a water purified automatic ice maker, gas stove, dishwasher, microwave, toaster oven, blender, coffee maker, and many more kitchen utensils for preparing your pool side or dining delights. 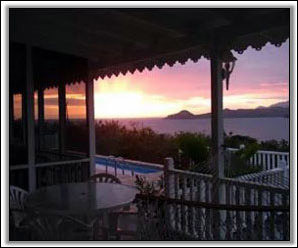 There are some of the finest restaurants on the island close by to chose from, ranging from the more casual Sunshine's Beach Bar and Restaurant or Gallipot restaurants, to the International and Caribbean cuisine at Banana's Restaurant, Oualie Beach or Mount Nevis hotels, to the more formal dining that can be enjoyed at the Four Season Resort’s Hotel or Nisbet Plantation, all located just minutes away by car.